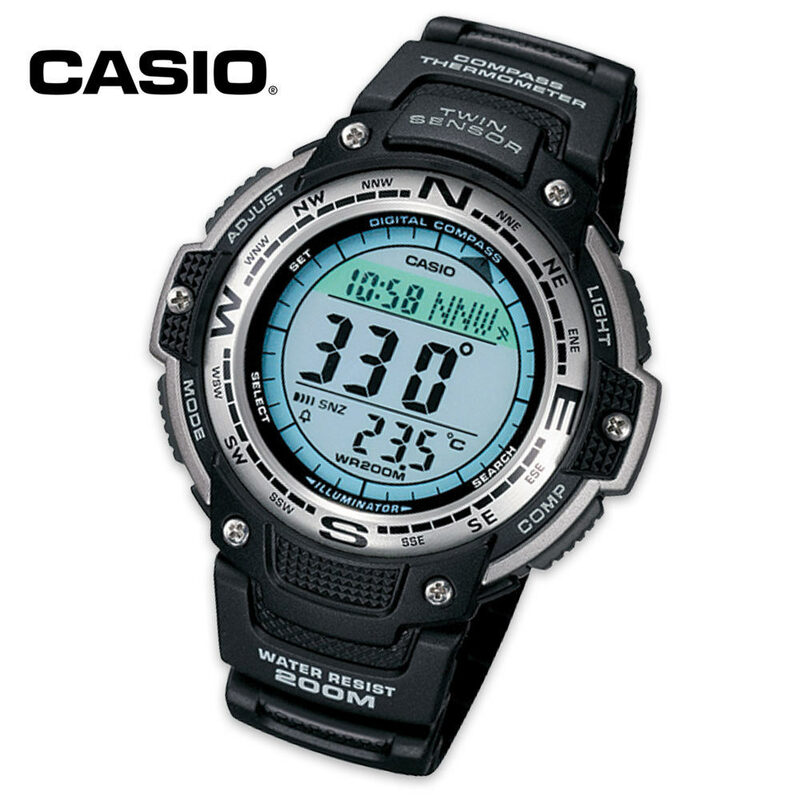 Casio Sport Twin Direction Wristwatch With Temperature Sensor | BUDK.com - Knives & Swords At The Lowest Prices! Casio's outdoor sports specialty Twin Direction Sport Watch covers all the bases with a digital compass, a thermometer, five daily alarms, world time (48 cities), a 1/1000-second stopwatch and a countdown timer for pin-point accuracy. Best of all, it's low temperature resistant and water resistant to 200 meters. You can't beat the value that"s packed into this Casio wristwatch. It's the perfect watch for sportsmen, outdoorsmen and fishermen, and the battery is guaranteed for three full years.